In order to build a shed a building permit must be granted, BAUQ Building certifiers can assist you with this. Most sheds will only require a development approval for building works (building approval) but in some instances a shed could require other town planning approvals. 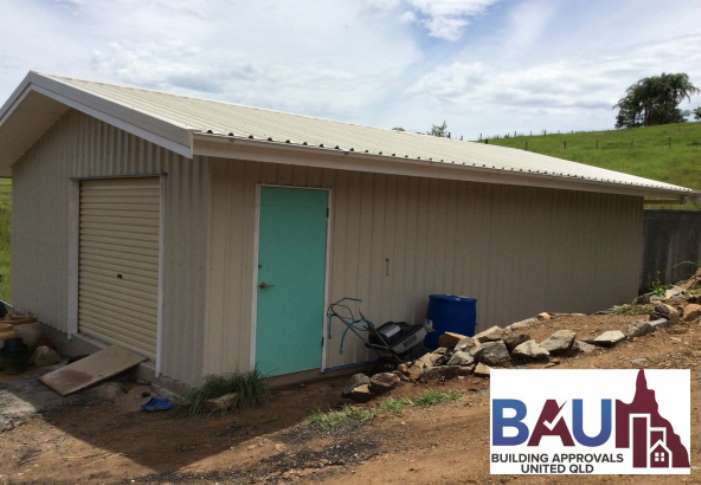 BAUQ Building certifiers can facilitate all approvals necessary to allow the construction of a shed on the Sunshine Coast. We understand local requirements and can provide you with professional advice. Our role as building certifiers is to assess building applications and assess them against all the applicable regulations (including local planning schemes) We then make a decision to issue a development approval for building works (building approval) to allow the works to take place. If development requires a town planning or referral application (e.g. proposed location is closer than the prescribed setback set by local planning scheme or Queensland Development Code) BAUQ Building Certifiers can facilitate these applications as well. Has a total floor area that does not exceed 56m². Our experience and knowledge in all areas of the building and construction industry enables us to simplify the statutory building approval process. Owners, Builders and suppliers are welcome to inquire on how BAUQ Building certifiers can assist you. A site plan showing location of the proposed building, a rough floor plan and exact address can be given to BAUQ building certifiers to provide you with a fee proposal for your next project, that easy!